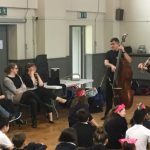 Graffiti Classics music company came to St. Louis and played their classical instruments. 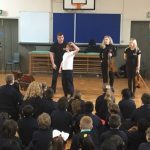 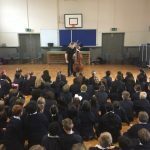 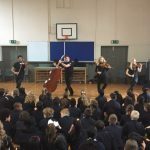 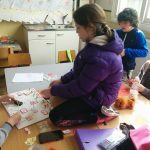 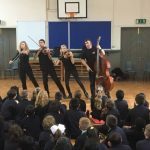 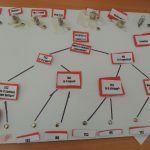 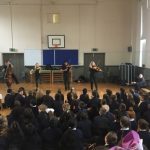 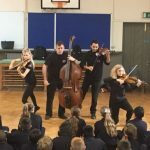 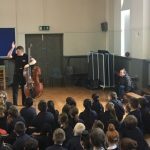 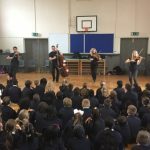 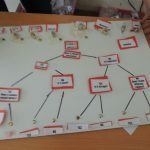 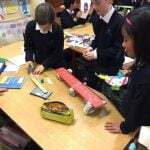 They were playing lots of fun games and activities involving music and classical instruments. 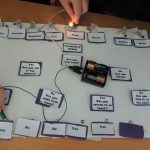 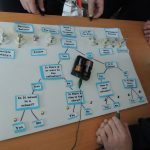 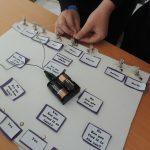 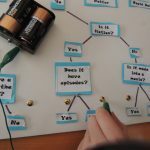 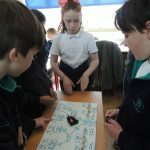 Room 6 were busy making electricity quiz boards. 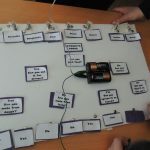 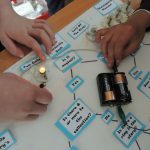 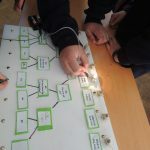 They learned how to complete multiple circuits. 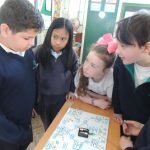 They were able to ask each other quiz questions and check if the answer was correct by lighting the bulbs and using electricity. 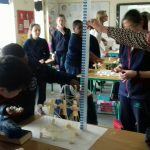 Mr. Roche’s class were busy testing their fitness levels. 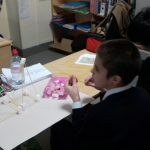 They then worked on their fitness and coordination and tested the levels again. 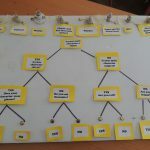 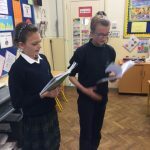 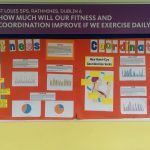 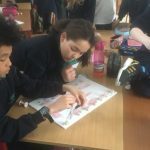 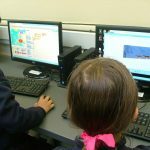 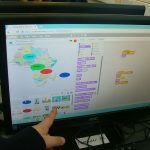 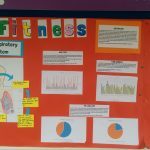 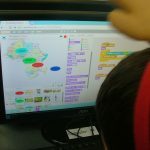 They used a spreadsheet to enter all of the information before and after improving their fitness levels. 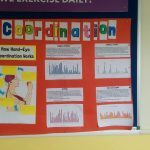 They used graphs to show the differences. 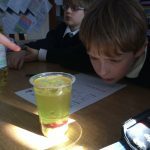 Room 10 were very busy making lava lamps. 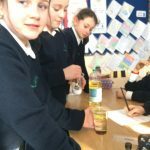 They investigated how oil and water mix and then they added sugar to test if the oil and water would mix. 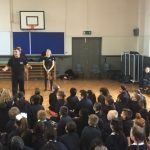 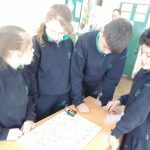 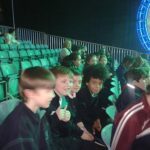 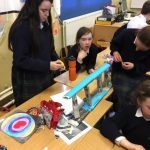 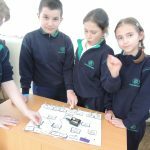 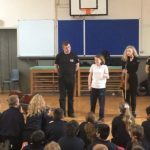 4th class enjoying Titan the Robot show at BT Young Scientist 2017. 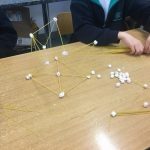 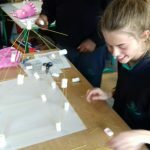 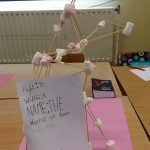 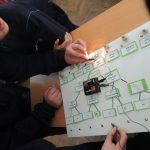 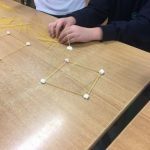 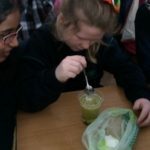 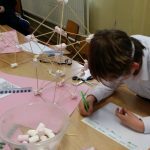 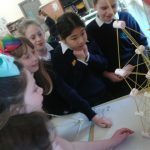 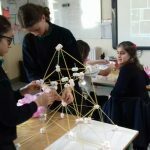 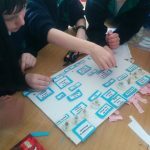 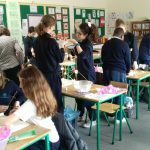 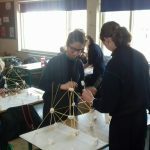 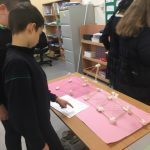 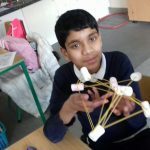 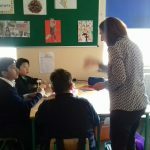 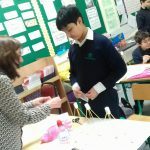 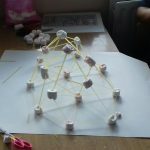 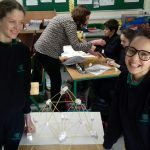 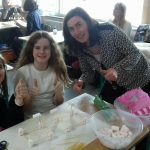 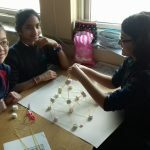 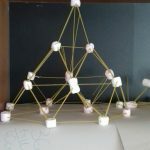 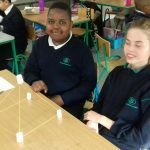 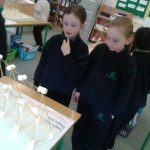 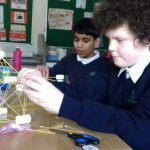 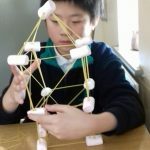 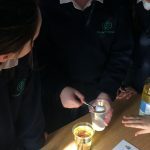 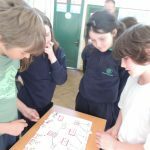 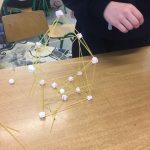 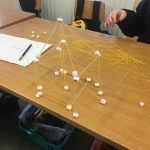 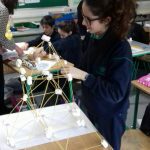 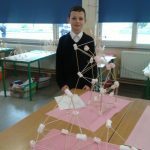 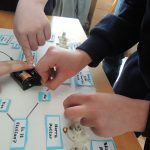 Spaghetti, skewers and marshmallows were used by 6th class pupils to create structures using pyramids and cubes and triangular prisms to build tall towers bridges disco and party houses and cubic tower structures.with pyramids cubes and rectangular prisms created as the buildings took shape.They worked in pairs and built upwards and outwards joining together creations to make interesting 3d buildings. 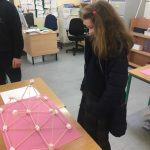 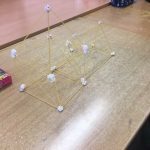 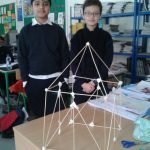 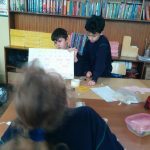 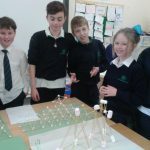 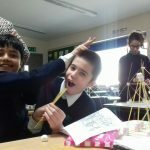 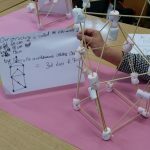 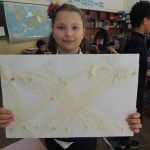 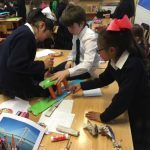 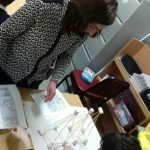 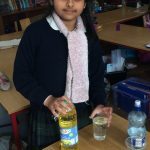 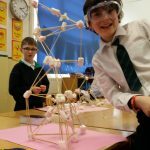 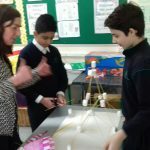 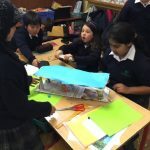 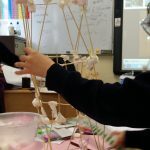 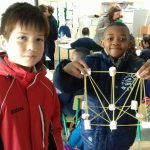 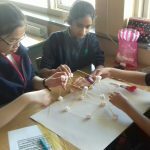 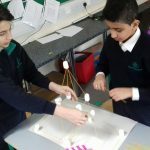 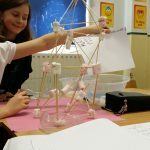 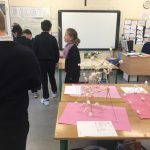 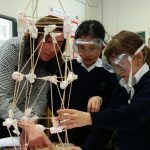 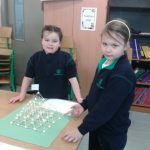 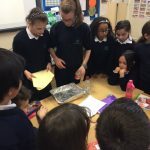 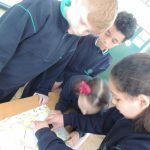 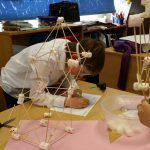 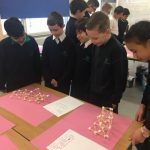 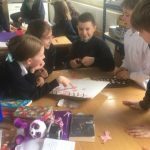 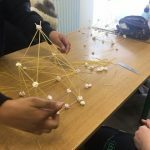 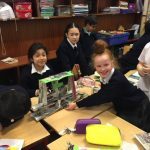 They measured the length, width and height of their structures using Measuring and Maths skills as well as engineering skills to create stable structures. 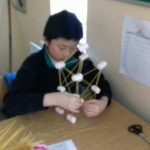 Engineering Week was going on 6th to 10th March 2017. 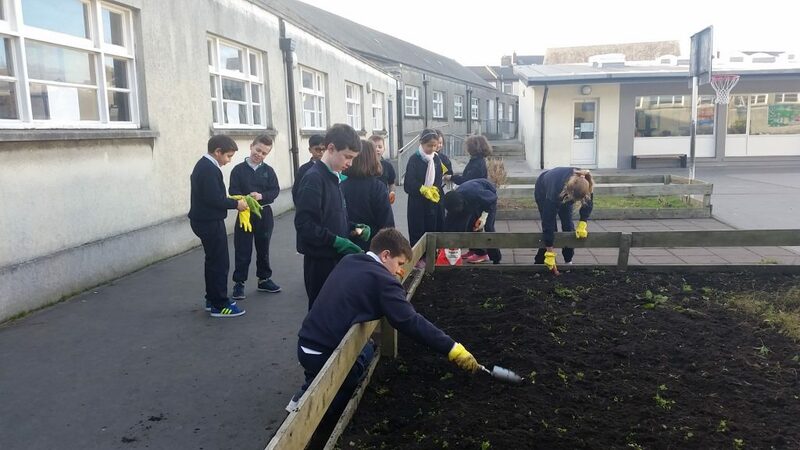 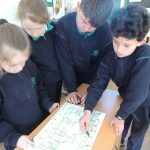 Some 3rd class pupils were planting Spring bulbs in the school garden. 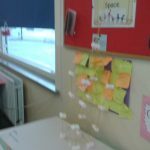 We are looking forward to seeing what grows. 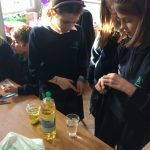 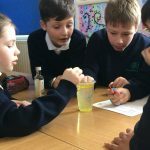 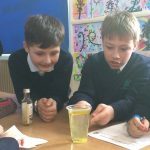 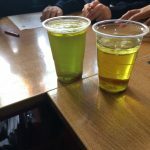 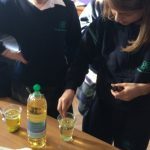 The boys and girls in Room 1 really enjoyed learning about acids and bases with Ada and Eve from Room 14. 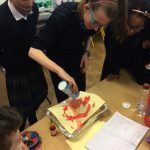 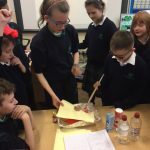 Room 1 have been learning about materials in Science & today we created our own exploding volcano! 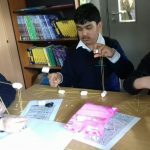 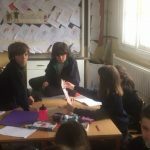 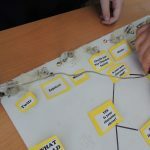 We’re already looking forward to our next peer tutoring activity!